Direct Trade Supplies carries a comprehensive array of MK Electrical products that fuse together high performance and quality, all in slimline, easy-to-fit designs. MK Electric has created a range of products, the MK Logic line, designed for use in residential and commercial interiors. At Direct Trade Supplies, you'll find a number of products from this line including switches, outlets, sockets, amps and more, all of which can be easily integrated into new or existing electrical systems. MK Electric has been at the forefront of electrical innovation for a number of years, and the MK Logic line is a result of continuous research and development. Many products have been developed with a special thermoset material in which a natural antimicrobial property is present. This means that they are resistant to bacteria build up, making them ideal for use in commercial kitchens and any other areas where food preparation takes place. 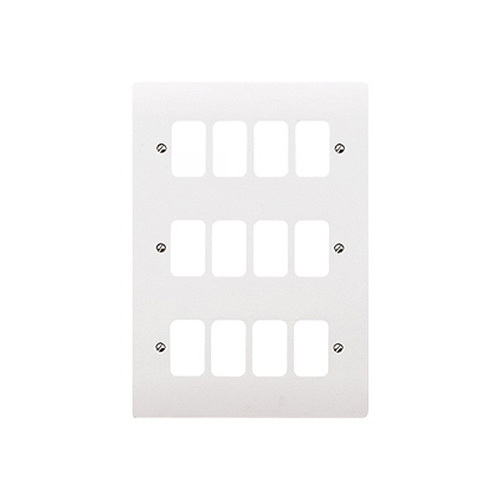 As such, MK Logic switch plates are a particularly popular choice for installation in restaurants, hotels and bars, but these versatile products are suitable for a wide range of other applications. Sockets for electric shaves, lights, satellite cable and just about anything in between are available in the line of MK Logic products. You can save time shopping around different retailers, and instead purchase everything you need for your commercial or residential electrical system from the range of MK products at Direct Trade Supplies. All products from MK Electric have been 100% tested, giving you complete confidence in their capacity and safety. Made to the highest safety standards, these products are designed to perform well and last for many years, making them a simple and clear choice for tradesman serious about installing professional-grade electrical products. Furthermore, many products are available under a comprehensive 20-year warranty, giving electricians and end-users complete peace of mind. Shop today, and pay nothing for shipping when you spend over £50 on MK products from Direct Trade Supplies. Further discounts are also available on bulk orders, helping you save even more when purchasing industry-leading products. To learn more about the benefits of MK Electric products and fittings or to enquire about your next order, contact Direct Trade Supplies today on 01752 261211.